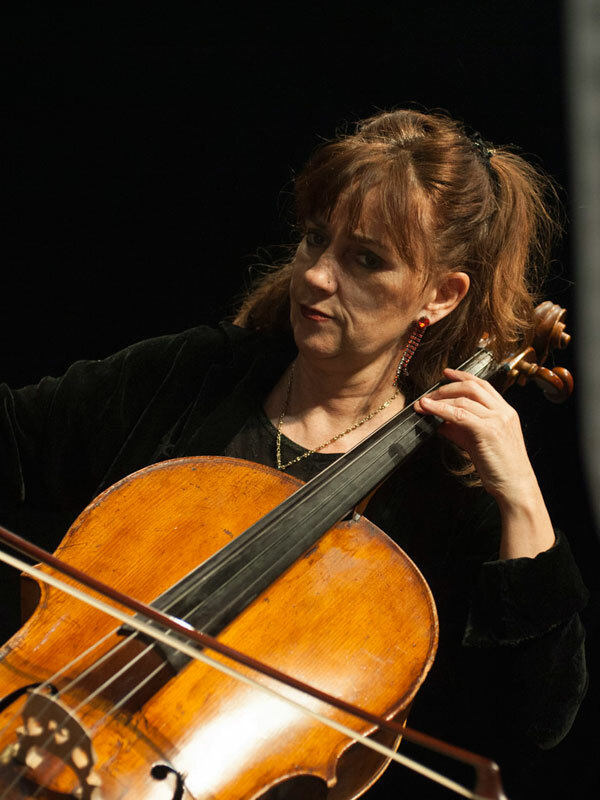 Jane Fenton’s international career as a cellist was kicked-started while she was still a teenager, when she undertook tours to various European countries and to the USA with Simon Rattle and the London Schools Symphony Orchestra. She later went on to study cello with Stefan Popov and Raphael Wallfisch at the Guildhall School of Music and Drama. While still a student, Jane worked closely with David Takeno in the foundation of the Guildhall String Ensemble, where she was principal cellist. The ensemble won the International Jeunesses Musicales Competition in Belgrade in 1982 and made its Carnegie Hall debut in 1991 during its first tour of the United States. (Jane’s performance at that concert earned her a commendation from the New York Times.) The ensemble recorded for RCA records, regularly broadcast for the BBC, and made appearances at concerts and major international music festivals throughout Europe, the United States, North Africa and India. Jane has performed as a freelance cellist with the Chamber Orchestra of Europe, the Royal Philharmonic Orchestra, Britten Sinfonia and the Scottish Chamber Orchestra, and has played regularly with the Adderbury Ensemble for over 25 years. She has been guest principal cello for the London Chamber Orchestra, the Scottish Ensemble, the Mozart Festival Orchestra and Ballet Rambert. She was principal cellist with Glyndebourne Touring Opera for 18 years and continues to work every year as principal with Garsington Opera. Jane has been a guest artist with many established chamber music groups, including the Composers Ensemble, the Balanescu Quartet, the Emporer Quartet and the Allegri Quartet. As well as recording with the Guildhall String Ensemble for RCA, Jane has recorded extensively with the Adderbury Ensemble and has been involved in sessions for the Harry Potter film series and for superstar pop diva Madonna. Besides her busy career as a performer and recording artist, Jane has worked for over 30 years as a teacher. She was deputy cello teacher in the junior department of the Royal Academy for almost three years; she has been the chamber music coach at the Pro Corda Young Musicians Summer Course in England; and has taught at the Workshop/Chamber Music Course in Segovia. She has also participated in the Dartington International Summer School’s Jazz Improvisation and world music projects, and has been coach and teacher for the Orchestra Joven, Cadiz since its foundation. She currently teaches at the King Henry VIII School in Coventry.